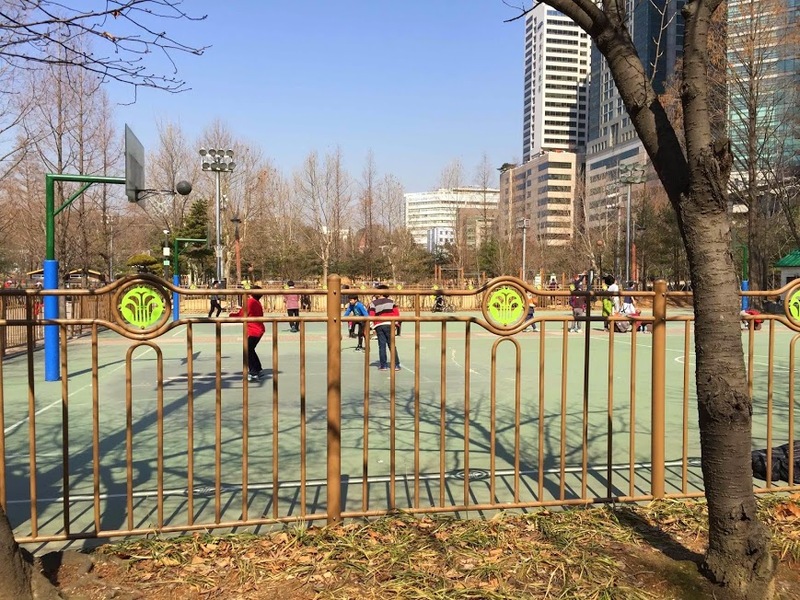 Boramae Park is one of the best parks in Seoul, but it receives so little attention to some of the city's more popular parks. It's a shame that the park doesn't receive the respect it deserves, but at the same time that is a great blessing. It prevents the park from becoming overcrowded. Nobody wants to go to a park that is too full of people. 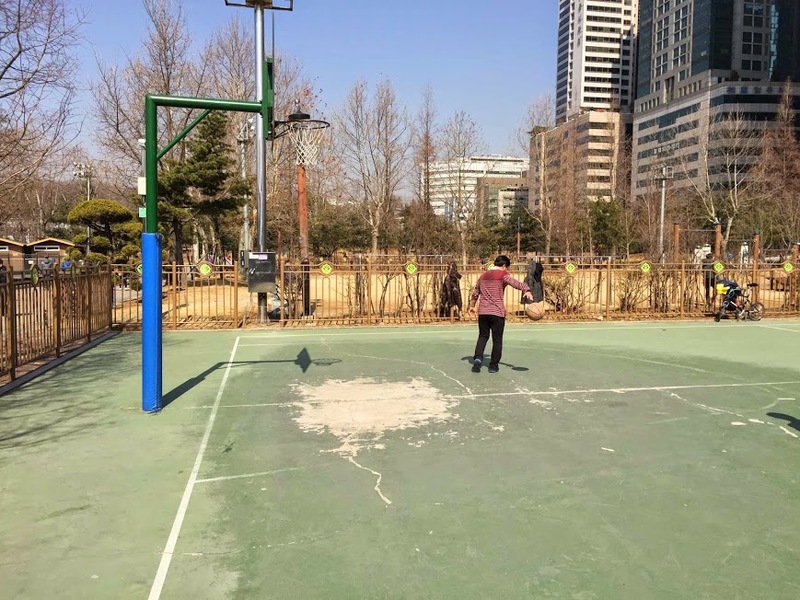 It's difficult to play basketball at a park like that. Well, fortunately, Boramae is not that kind of park. 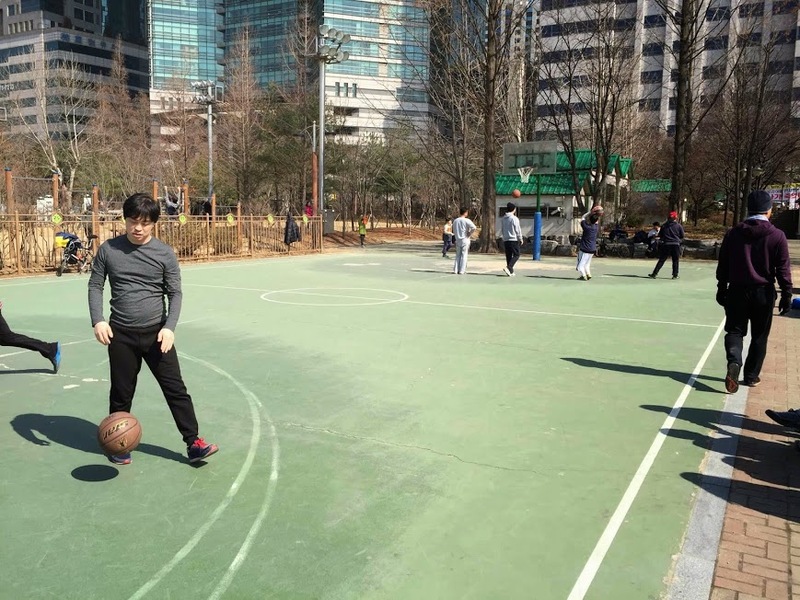 Boramae Park is home to a basketball scene that is suitable for all levels of play. Imagine Kobe Bryant and Lebron James squaring off under the lights in the evening. Now imagine that before those two all-stars went at it 1-on-1, their children played a game of horse in the afternoon. Is that hard to imagine? 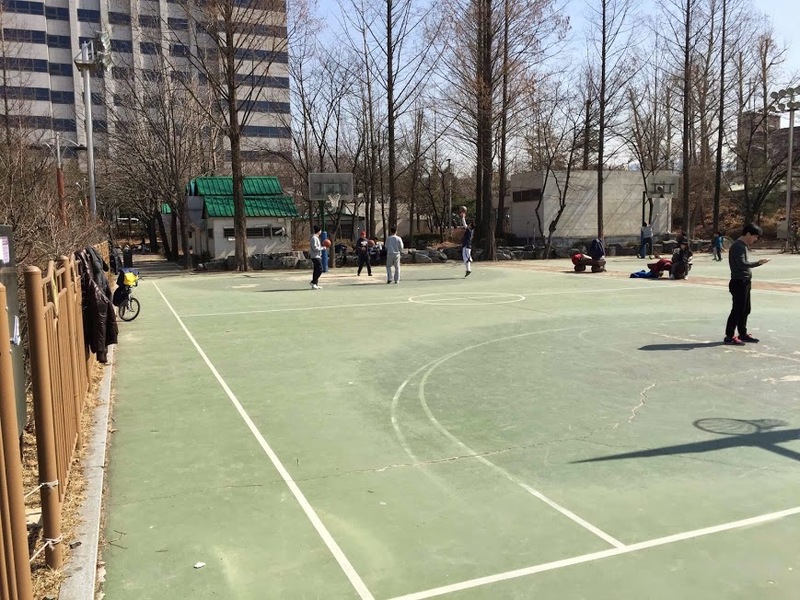 Days like that are possible at the basketball courts in Boramae Park. 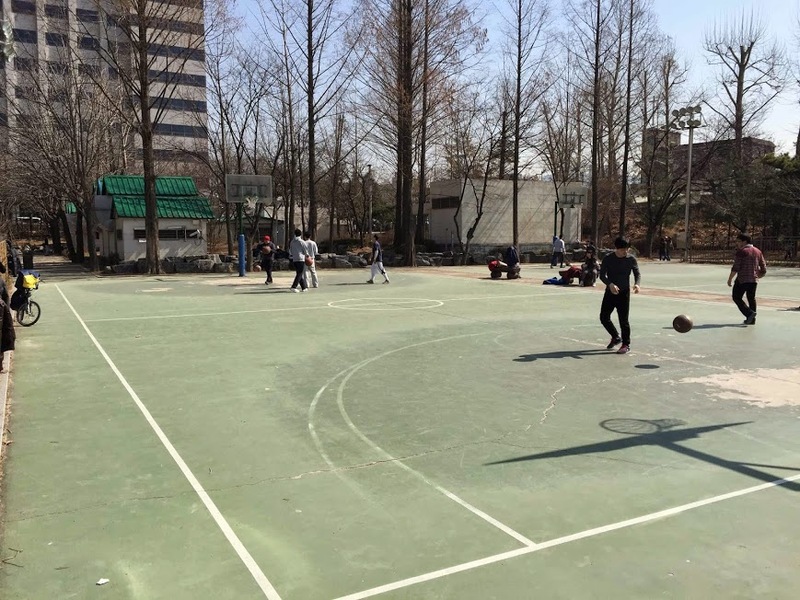 If you are looking for a place like that to play basketball in Seoul, then slip on your vintage Air Jordans and visit Boramae Park. Green asphalt with plenty of faded markings. The sidelines, baselines, and midcourt lines are well marked. Anything closer to the rim is faded. The painters of the 3-point arc showed their indecision when unable to decide between painting an NBA or a collegiate 3-point arc. There are two full-length courts. Plenty of space. The courts are lit at night. There are plenty of other activities nearby. Boramae Park has an excellent vibe. Afternoons on the court seem to be more about family and less about game. This isn't bad; it's just not an ideal place to go if you're looking for a game. If you're playing 1s and 2s, the 2-point arc is not clearly marked. Cafe Ju is a cafe in the park that helps out the community. Local youth work in the cafe and all the proceeds from the cafe benefit local youth programs in the community. Make it a point of visiting and treating yourself the youth. Check out the Boramae Park photo album to see more pictures of the area. Once you get to the park, find one of the information signs which are plentiful. Follow the directions to the X-Games portion of the park. It is in the southeast corner.